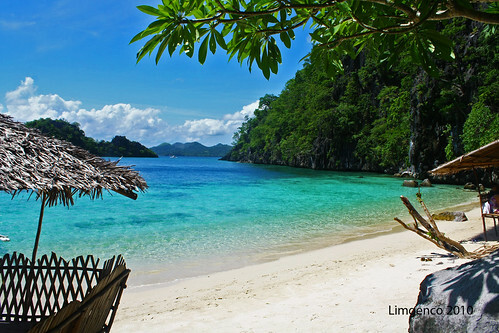 Hey, I was researching about Philippines for my presentation and I found out cool facts about Philippines. The climate is pretty warm there because from march~may its hot+dry, from june~october its rainy and from November~february its cool. The average temperature is 27.7 degrees Celsius. The range of average monthly temperature is 4 degrees. 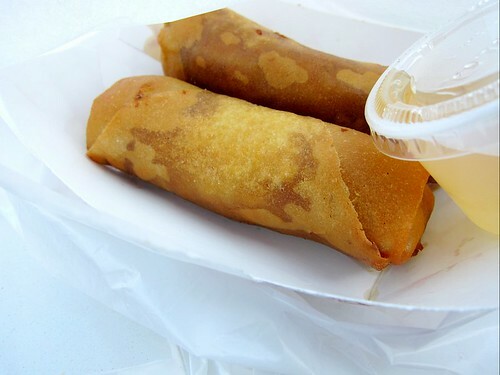 There is also great food in Philippine like Lumpia, which is simmlar to the Japanese Harumaki. It is fried outside, and it has meat inside it. It is really good, I LOVE it <3. Also, in Philippines they have cultural celebration. For example, there is a festival called “Panagbenga Festival”which the people who dance in the festival dress up in a flower costume. The Malayo Polynesian meaning is “Season of Blooming”. Well..the capital city in Philippine is Manila, which is located in the eastern shores of Manila bay which is in the western shores of Luzon. 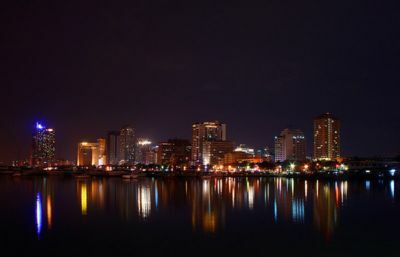 In Manila, the climate is very hot because the temperature is from 30~34 degrees celsius. Then, christmas is hot there. Shopping is convenient in Manila and also there’s a beach in Manila so you can surf there:) The left picture shows you how beautiful Manila Beach is, and the right photo is Philippine Manila at Night. The building lights are reflecting because there is water there. What I’m most proud of my blog is the information and the blog theme/background, and the different categories. The information(the posts) are appropriate and makes sense. It tells you the different things I have learned in my school subjects. There are different pictures for the posts, so its not boring. The menu categories helps me a lot because you can just click to the different subjects and a “About me” page. The about me page tells you informations about me, so you will know what I like/dislike. What I really like the most is the blog theme/background because if you had a blog, you need to make it STAND OUT so you can choose images or different colors. Also, the header is important because I think when people go to blogs, the first thing they look at is the Header image+Blog Title/Tagline. The background choice is important because, one of my friends chose a background that moves, so you can’t concentrate on the writing. What if the theme of the page was standing out a lot, and the information was wrong? It won’t make a good blog because the information is wrong. The theme of the page should stand-out, but not too much. Otherwise, the blogger won’t concentrate on what they are finding. So what I have explained was: The most things that I’m proud/happy of my blog, and about blog theme/backgrounds. I think my blog is neat, colorful, has lots of information. At English class, we had to make a Holes Presentation which we compare the book and the movie. We were in groups and a time limit of 5~7 minutes. My groups were: Grace, Aner, and Deven. Our part was about Kissin’ Kate Barlow and a “Flashback” scene. This is our presentation:(Click the link below). We played 4 improv games in Drama Class: Space Jump, Die! Story! Die!, Statues, Expert Double Figure. My favorite one was Space Jump because I think I did a good job in Space Jump because I got in the position and I accepted it. Then I acted out another scene. Next time, I would like to improve by observing/Listening Skills, and Acting skills. So I would like to improve Offer and Accept Skills when we do this activity some time. On a rate to 10, I would mark myself as 6~7 because I did a good job but I could improve better next time. For example, listen to others, and observe carefully(pay attention) to other players. What we done so far in technology class is Designing/planning our blog. We had to draw a plan for our blog design(how you wanted to look like). We had to make at least 3 of it, and choose the favorite one. After drawing, we also had to label the different things of the blog. For example, the header image, blog title, post author etc. On the back of the paper, we had to write why we chose it, and how it shows your personality. We also had to set our own goal on a document called How to grow a blog, which is goal for your blog. There is goal, habits and commitment, and the right habitat. Habits and commitments is what you will do to your blog everyday. For example, I am going to check for comments, and make sure the blog post is correct and accurate. The Right Habitat is how you can make your blog better. Like, you can ask advise from your friends, teachers, etc. We are learning these things because we want to make the best blog ever! And it helps us learn how to use blogs so when we grow up, we know these things and maybe we will be good at it, because we are doing blog planning now. I chose this theme because the background is colorful, fun, and also exciting. I also chose it because I want my blog to look neat, and so that people can look at my posts clearly. This theme represent me because I like bright colors, and also I think I am a fun person:). I learned the different categories of a blog, and I also labeled the different things. I was reflecting when I did the How to grow a blog because I had to think how I could improve on my blog, and how I can do it. So it really helped me. I need to learn more how to use widgets, menus, so I understand the different things of the blog. I can learn how to do it by going to the WordPress we did so I can research. I will also like to learn how to put apps and games on my blog to entertain the audience(the people who look at my blog). I can learn this by going to different peoples blog who have apps/games on their blog, and ask(comment) on their blog. After field-studies and in the bus, I was reflective because I was thinking what I did at field-studies. For example, the challenging rock climbing/canoeing, and the exciting mountain biking/Hakuba Jeperty. I was thinking what I did good and what I could improve better. Next time, I want to improve better at canoeing because I didn’t really enjoy it and I thought it was tiring. So I should be positive every time I do something, so I can enjoy it. Being reflective makes be a thinker because I think about things. Also, I will like to to the mountain biking again, and try a different course. It was challenging but fun, and its my new hobby right now. I will always remember the memory of Field studies 2012 Hakuba Nagano. And the fun activities we did and the great food:) Hope I could go to Hakuba again.. The picture below is the lake in Hakuba Evergreen Outdoor Center. Credits to Mrs.Cofino(my tutor/tech teacher). Love the photo:) The ducky was a ride, which you could see the Lake and the beautiful view of the mountain. We saw the beautiful view when we were doing canoeing. It was really sunny and a perfect day for canoeing. I was principled at the Hakuba Jeperty because people had different opinion, so I agreed to people with the similar answer as me. It was much faster and easier, and it was a BALANCED game. Well, communicating with each other makes things faster but being principled is good too because you have a strong opinion about something. During field studies, we did Hakuba Jeperty. Hakuba Jeperty is a game when theres 5 topics about something and we answer them in our groups. There was a limited time for discussing, which was 10 seconds. If our answer was incorrect, we can’t get points. It was challenging because some of the questions were hard, and some were really easy. The most challenging thing was, when we discuss in our groups, because there were different opinions. I was a inquire because after the Hakuba Jeperty, I researched and learned the things I didn’t know(the answers for some question topic). I was also balanced because I was fair and equal. My group was fair because everybody agreed on one thing…. The Yamano Hotel food was balanced because there was a section of vegetable, meat, and rice/bread. The food was really healthy and it gave me strength for the activities. The Hakuba Evergreen Outdoor Center food was balanced too. I was balanced because I ate all of the food and I also liked it! Eating healthy food, makes you have strength.